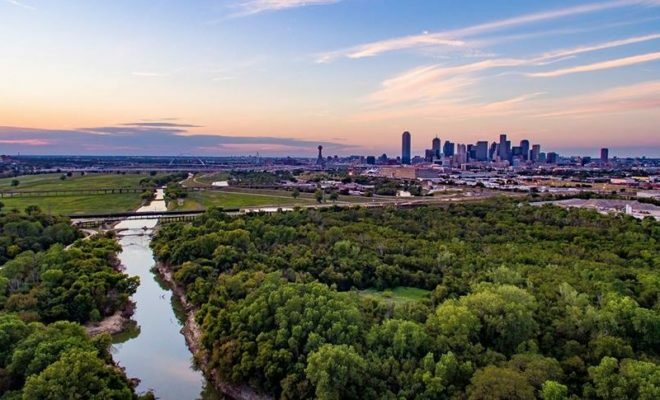 Dallas, Texas is developing a $6 hundred million urban park which will be over 11 times the size of Manhattan’s Central Park upon completion, making it the largest urban nature park in the U.S. and the city and one of the greenest in the country. 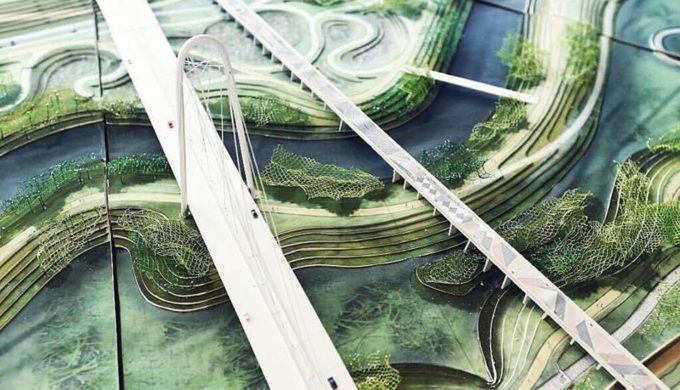 Currently under construction, the proposed plans for Trinity River Park include trails, playgrounds, and areas of vast green space, and will make use of an area which is a natural and chronic floodplain and develop it into what looks to be a green flourishing ideal. 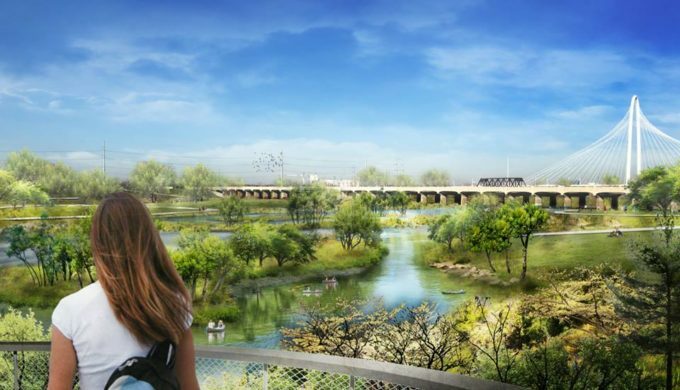 In what is being termed Dallas’ new “Nature District”, Trinity River Park will comprise 10,000 acres, 7,000 of which will be called the Great Trinity Forest. 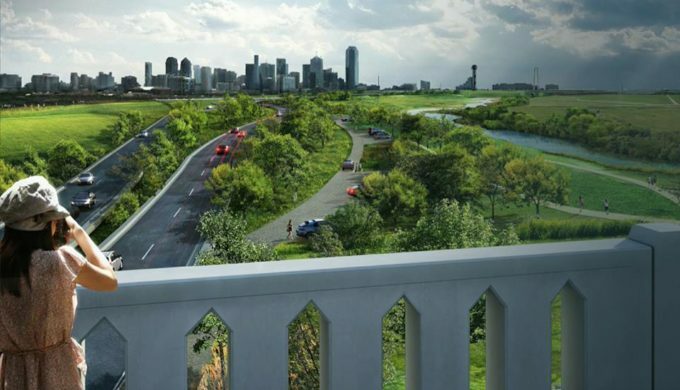 Designed by Michael Van Valkenburgh Associates the park concept looks to revitalize a Dallas floodplain into a usable and lush green space. Featuring a number of walkways, trees, sports fields, and other natural areas, the site appears to have great support and backing, and is hoped to progress without issue. 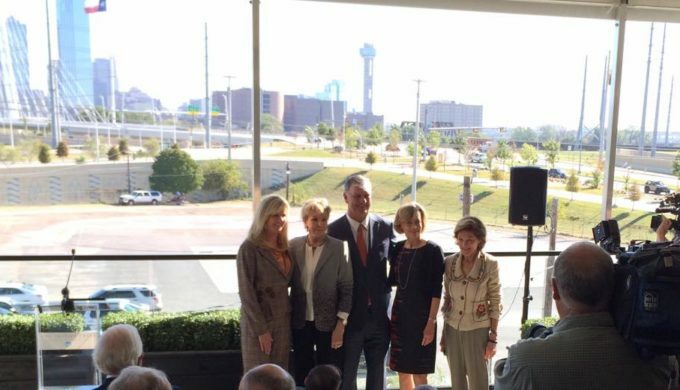 Dallas Mayor Mike Rawlings has made note of major contributions to the project, including Annette Simmons, widow of late billionaire Harold Simmons, donating $50 million towards over 2 hundred acres of the project which is scheduled for completion by 2021. 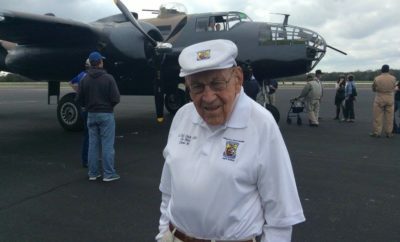 At a total cost of $250 million, Mrs. Simmons’ donation is one-fifth of the entire project, and subsequently, this particular portion of the green space will be called the Harold Simmons Park in honor of her late husband. The design firm has stated that they’ve worked with government engineers to confirm the infrastructural soundness of the area, being a floodplain, in order that the park transforms natural flooding that takes place into “a breathtaking spectacle.” In addition, 1,000 acres of the Great Trinity Forest has already been developed into a golf club, the Trinity River Audubon Center (including a nature center for events and education), and the Texas Horse Park. 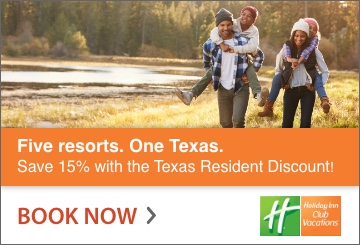 As of June 2015, it’s been identified that Dallas has spent more than $6 hundred million investing in trails, a bridge, and a community center in a forested area (which includes the aforementioned horse park and golf course), and future plans for the area include shops, restaurants, housing, and offices.